Do you attend multiple AquaSox games? You should become an MVP Club Member Today! ¡Everett Conquistadores y Noches de Diversión! 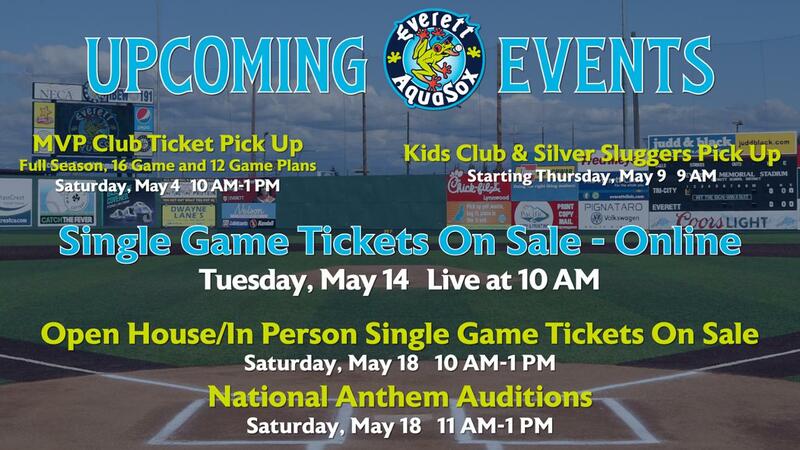 Stay up to date with everything AquaSox related by joining our AquaBlast Newsletter! Looking for a summer job? The AquaSox Job Fair is on Wednesday, April 17! Purchase Your AquaSox Merchandise Today! AquaSox Giveaways include Sox Socks, a Dog Leash and More! Countdown to Purchase Everett AquaSox Single Game Tickets Online!